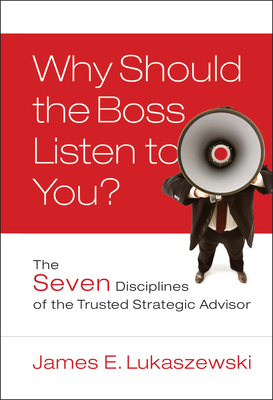 This is a book about gaining influence and becoming a key trusted advisor. It is for everyone who advises leaders and senior managers (accounting, finance, human resources, IT, law, marketing, public relations, security, and strategic planning) and for outside consultants in these functional staff areas. It's also for operations people yearning to finally be heard and heeded by their boss. James E. Lukaszewski is the founder, CEO, and chairman of The Lukaszewski Group Inc. He is a trusted advisor who helps leaders and managers contain and counteract tough, touchy, sensitive corporate management issues on a daily basis. His website--www.e911.com--is considered to be among the most important in crisis management and public relations.